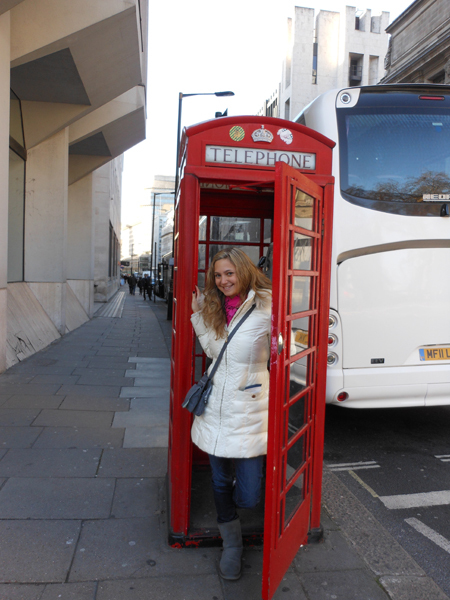 I traveled to London, England in the spring of 2012. I traveled with CAPA International Education on a study program. I did a full three-month program but traveled sometimes on weekends and during breaks. I lived in a flat in Ealing Broadway with several other students from different American schools. We were in apartments of about four to five people each. I’ve always lived in a small town right outside New York. The idea of big cities has always excited me and I wanted to take advantage of this once-in-a-lifetime opportunity. It was a first step for me in seeing how independent I could be in another country, because I hope to travel a lot more in the future. The biggest surprise was the culture shock I experienced. I expected traveling to London to be an easy transition for me because I assumed their culture was close to that of America. But you know what they say about those who assume! The language and the people were wildly different from what I had expected. Their accents, like the ones in America, varied based on where in England they were from. They were not as subdued as they are portrayed in entertainment, either. In fact, they were rowdier and more free-thinking than most Americans I know. Despite all the differences, it was not too difficult to adjust. I took part in their giant Chinese New Year celebration in Trafalgar Square; my friends and I were a part of a flash mob for Britain's Got Talent; I went to several Jewish society holiday celebrations and actively participated in any cultural activities I could. It was incredible to be able to truly immerse myself in the culture and become a part of the lives of people halfway around the world from me. These are experiences I couldn't get anywhere else and would not have missed for the world. Did you meet any locals or do any job searches while you were abroad? I became friends with many locals and even attended some of their celebrations, such as holidays and birthdays. I don't think there was any one thing that made my experience a success. I think the combination of the interactive program in which I was enrolled, the experiences I planned myself, and my travels to other places worked together to make it a real adventure. 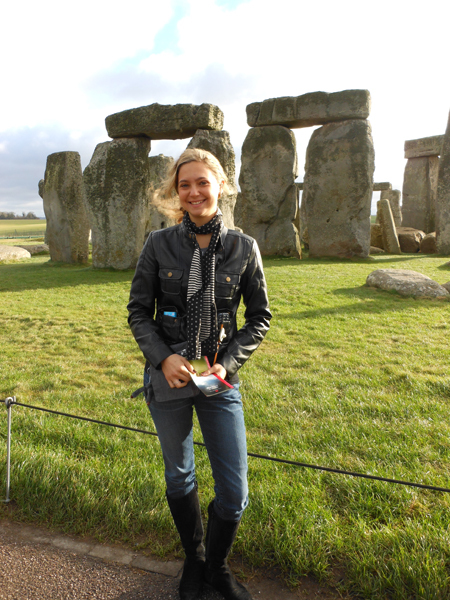 My program took me to shows and on tourist trips so I could see London. In addition, I was able to travel to Rome, Paris, and Wales. Also, like I said, I made friends with locals and participated in pure cultural events. All of these events made my trip a complete success. I think my experience has definitely helped me become more independent. I learned to shop and cook for myself; I learned how to save money and travel for cheap while still planning great activities; I learned how to get along with people from different backgrounds than me and adjust to their lifestyles; I learned to negotiate through having new, unknown roommates with different habits and traditions from myself. I think these skills can be transferred to work in most jobs because they are basic interactive life skills. Time management, negotiation, creative research, etc. will all be helpful when moving into the workforce. The most important thing for me culturally was to make sure not to offend the Londoners with language or gestures they might find offensive. I was careful to watch what they did and to mimic their gestures and speech in a way that was not mocking, but respectful. At the same time I tried not to be too serious and miss out on fun and joking around with them. I also had to allow them to mock our culture a bit, as we do theirs. It was all in good fun and allowed us to really bond and become close. I miss the feeling of not having many responsibilities and being able to discover new things everyday. Whereas, at home, I feel like I have seen and done pretty much everything. I would encourage them not to let anything hold them back from exploring every opportunity presented to them. Yes, you are there for school, but your number one priority is you. So make sure you go home with no regrets. Do not miss anything! I found that the biggest shock was how laid back they are about celebrity culture. In New York, and America as a whole, celebrities are so guarded because of excessive paparazzi and insane fans, but in England they are everywhere and so accessible. I must have met at least three or four of them just wandering, and I have heard stories of them traveling by their subway system, the tube, or just walking the streets with no security or disguise! What are your future plans for going abroad or for your career? I plan on hopefully going abroad again to either teach or work with a television station in one of many countries. I would like to see even more of the world and really expand my experiences. Ashley seems to have had a very enjoyable first experience abroad. We would absolutely encourage her to start planning another study or work term overseas, ideally in a non-English-speaking country. After graduation she might consider going to Asia or Latin America to work as an English teacher. In addition to providing a financially sound way of traveling abroad, teaching English can also be a starting off point for professional opportunities in your field of interest. Once settled in her new host country, Ashley could network with locals and find part-time opportunities or short contracts with media agencies in her host city, adding a professional boost to her international endeavor. Need more inspiration to go abroad? Our selection of the Why You Need International Skills is sure to get you motivated.